Schloss Belvedere has some of the best art in Vienna. 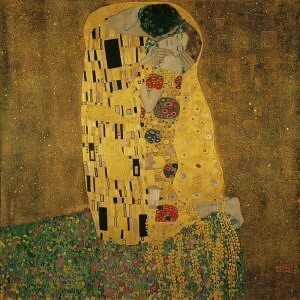 The permanent collection including Klimt’s The Kiss is frequently enhanced by major temporary shows. In 2015, the temporary exhibitions include a celebration of the Congress of Vienna (1814/15), the 150th anniversary of the Ringstraße, Klimt, Schiele and Kokoschka’s view of woman, grand old masters, contemporary art and solo artists exhibitions. Schloss Belvedere was the magnificent early 18th-century home of Prince Eugen of Savoy – at that time just outside Vienna but nowadays very much in the heart of the Austrian capital. The Belvedere complex and related structures have several venues for some of the finest art exhibitions in Vienna. The main palace – the Upper or Oberes Belvedere – is one of the finest Baroque buildings in Europe. This magnificent palace and its ornamental Baroque garden are worth seeing on their own but the main attraction here is the superb Jugendstill (Art Nouveau) and Secession collection. The Belvedere has the largest collection of Gustav Klimt art including The Kiss. The Upper Belvedere also has a magnificent display of medieval and baroque art. At the bottom end of the Baroque park – closest to the center of Vienna – is the smaller lower Unteres Belvedere, Orangerie and Prunkstall (glamor stables). This older Baroque palace was designed by the illustrious Johann Lucas von Hildebrandt and is now mostly used for temporary exhibitions. The Winterpalais was Prince Eugene’s palace inside the city walls of Vienna. It is another magnificent Baroque building with the interior recently restored to its Baroque splendor. 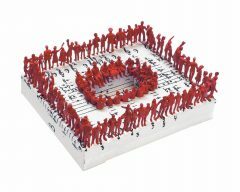 It is used for frequently changing exhibitions from contemporary art to the grand masters. The 21er Haus is in a modern building near the entrance to the Oberes Belvedere and used for contemporary art (mostly post 1970). The vast permanent collection of the Belvedere galleries ranges from medieval to contemporary art. The various venues have frequent temporary exhibitions that are mostly theme-based to give an opportunity to not only show its own works but also related art from all over the world. The Lower (Unteres) Belvedere is used for the larger and more prestigious temporary exhibitions. In addition to the palace, the orangery and the former stables (Prunkstall) are also used for exhibitions and usually all included in a single ticket. The Unteres Belvedere and Orangerie will host the Europa in Wien. Der Wiener Kongress von 1814/15 (Europe in Vienna. 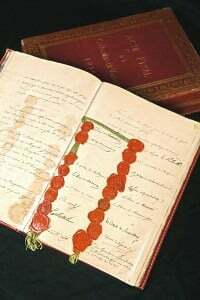 The Congress of Vienna 1814/15) from 20 February to 21 June 2015. This congress at the end of the Napoleonic wars lasted for months and was the diplomatic, political, and social event of the century. As the French nobleman Charles Joseph de Ligne aptly put it at the time: Europe is in Vienna. The exhibition focuses not only on the historic events that led up to the congress that redrew the borders of Europe and set the scene for a century of mostly peace in Europe. The exhibition includes paintings, drawings, maps, caricatures, statues, costumes, and other historical objects. For this, the Belvedere can call on its own vast collections but works from other Viennese museums and from further afield will also be on display. During the second half of 2015, the Unteres Belvedere will host another blockbuster temporary art exhibition: Klimt und die Ringstraße. This exhibition is to commemorate the 150-year anniversary of the official opening of the Ringstaße – the monumental boulevard surrounding central Vienna built on the space previously used by the city walls. From 3 July to 11 October 2015, the Lower Belvedere will host Klimt and the Ringstrasse – A Showcase of Grandeur. The show will include early works of Gustav Klimt never previously shown in public. Klimt will again feature in the following temporary exhibition in the Lower Belvedere: The Woman of Klimt, Schiele and Kokoschka from 22 October 2015 to 28 February 2016. The Klimt / Schiele / Kokoschka und die Frauen exhibition will explain how the three most outstanding painters of the Viennese modernism – Gustav Klimt, Egon Schiele and Oskar Kokoschka – painted woman in an era of shifting moral taboos. The Upper Belvedere is home to the most important Austrian art collection of works ranging from the Middle Ages to the modern. 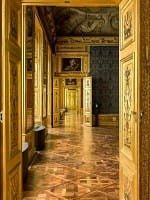 Most of this magnificent Baroque building is used for the permanent collection but smaller, especially solo artist temporary exhibitions are also displayed here. 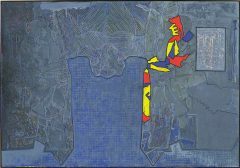 The Oberes Belvedere hosts the special Jasper Johns: Regrets exhibition from 13 January to 26 April 2015. The show of around 30 items includes some of the most recent work of this multifaceted American artist. The show will be the first retrospective since 1987 in Vienna of Jasper John’s work. The exhibition is largely based on one originally organized by The Museum of Modern Art in New York and also partly shown at the Courtauld Gallery in London. 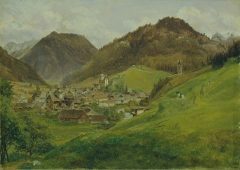 Friedrich Loos – An Artist’s Life Between Vienna, Rome and the North (Ein Künstlerleben zwischen Wien, Rom un dem Norden) from 27 March to 12 July 2015 will focus on the landscape panorama painting of this oft-overlooked Austrian artist. Gerhart Frankl – Restless (Rastlos) from 25 September 2015 to 31 January 2016 will focus on the works of this lesser-known Austrian modernist painter. The 161 works on display from the Archive Austria are all in 10 x 12 cm format. The second half of the year will see art more familiar to Prince Eugene. 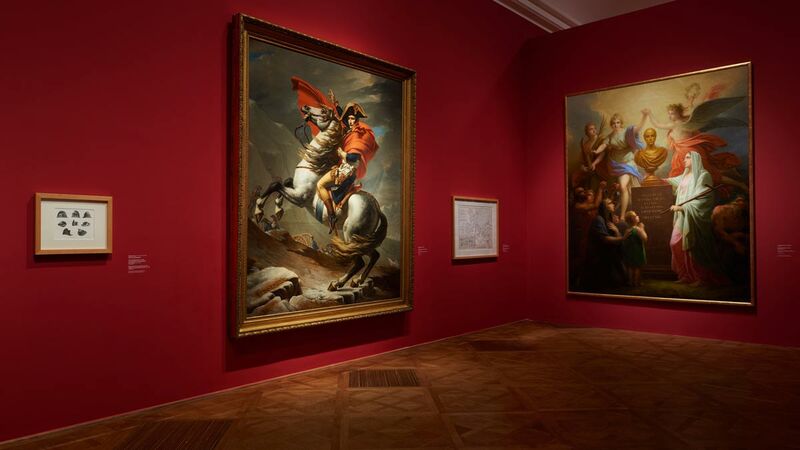 Around hundred works from the Dresden State Art Collection will be on display in the Rembrandt – Titian – Belloto: Spirit and Splendour of the Dresden Picture Gallery (Geist und Glanz der Dresdner Gemäldegalerie) from 11 June to 26 October 2015. Towards year-end, the art will again be contemporary with a solo artist exhibition of the works of Olafur Eliasson, a Danish-Icelandic artist. From 21 November 2015 to 6 March 2016, his work will be on display in the Winterpalais with further works in the Augarten. Many of the items are from the Museo Jumex in Mexico City and the Vergez Collection in Buenos Aires. The opening hours of the Belvedere palaces and the Winterpalais are generally daily from 10 am to 6 pm but times may vary depending on the specific exhibitions. The Lower Belvedere is usually open until 9 pm on Wednesday. The Prunkstall is often only open 10 am to noon. The 21er Haus is usually open Wednesday to Sunday from 11 am to 6 pm, closing at 9 pm on Wednesday and Thursday. A variety of combination tickets are available with admission included to both permanent and temporary exhibitions where relevant. Combination tickets are usually valid for 30 days after the first museum visit. All tickets are available online from the Belvedere too – same price but cut out queuing. Single entry tickets are €14 for the Oberes Belvedere, €11 for the Unteres Belvedere (including Orangerie and Stables / Prunkstall), €9 for the Winterpalais and €7 for the 21er Haus. Children under 18 have free admission to all museums while students (up to 26) and seniors (over 60) receive a few euro discount. The Belvedere Ticket is €19 for both Belvedere palaces, while a Prinz Eugen Ticket is €25 for both Belvedere palaces and the Winterpalais. See also Top Art Exhibitions in Vienna in 2015 (First Half) for more displays in other Viennese museums.